My tiny baby is gorgeous! 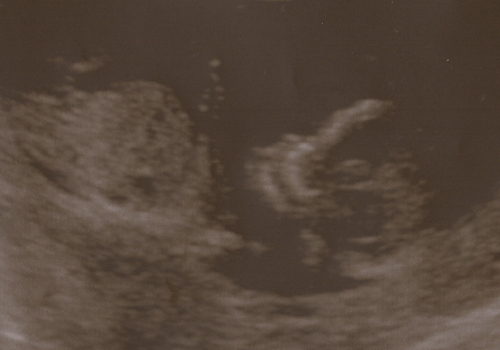 I saw baby in my 12 weeks scan today. It was a very moving experience. Baby is healthy and on track for growth. He/she was sleeping when we began with a little hand raised above their head. Once he/she had been prodded a bit we got to see some movement. It was surreal to see baby moving, but not be able to feel it. It was truly a wonderful experience. Now that I am at week 12, I feel like I can finally buy stuff. I have already researched all of the big, essential items and there are big differences in price! In an online store there are cots with mattresses for around $200, in a store the other day the prices seemed to start at $500 for just the cot! So I have to be wise and check the price (and quality)! We have decided to go with a convertible car seat, rather than an infant capsule, because it will last the baby’s whole career in a car seat and then be useful for any future babies, it is a worthy investment. Also, having the noodle arms that I have, carrying the infant capsules is rather difficult for me! As we leave the first trimester, and come into the second, I am hoping the fatigue will recede a little and that the hunger will abate to a more manageable level. As it is I can only fit one pair of my pants!